In the last update of ISESteroids, theming support was added, and it’s now really easy to customize ISE to your liking. I thought I’d share my custom ISESteroids theme with you. It’s not a lot different than the default ISE colour scheme, but I think it’s easier on the eyes. To be able to use it, save it to ‘..\ISESteroids\Themes’ as ‘Communary.ISESteroidsThemeXML’, click the Themes button and it should be visible under the Themes sub-menu as ‘Communary’. 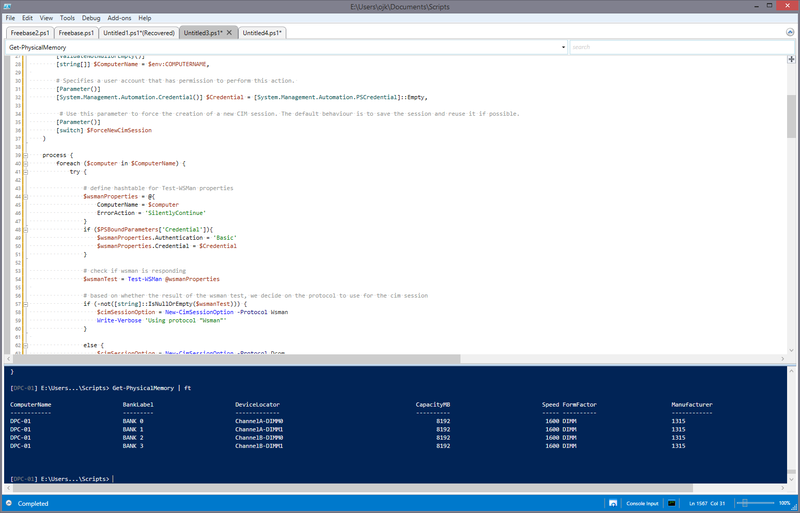 If you haven’t tried out ISESteroids yet, please head on over to http://www.powertheshell.com/isesteroids2/ and try for your self!